A fundamental shift is taking place in today’s workforce. In the past, the majority of a company’s labor force consisted of full-time employees who stayed with the same organization for years, sometimes until their retirements. Now a “new normal” exists — external workers are a significant portion of companies’ labor populations with workers moving between jobs, companies and even industries much more frequently. But what is meant by external workers? They are also commonly called contingent workers, flexible laborers and contractors. This labor population also includes services provided by independent contractors, consultants, offshore and/or outsourced services. This means that the total workforce is now divided into two distinct groups: traditional employees and external employees. While many organizations have solved the problem of recruiting their full-time workers, it’s those flexible workers that are the new challenge. No matter what you call it, this segment is growing rapidly and now comprises as much as 50 percent of the workforce at some organizations. External workers are likely spread across different departments, offices and even geographies. On top of that, companies are often using disparate, manual processes to manage them. With so many departments and individual hiring managers engaging these workers with inconsistent, undefined and non-compliant processes, it’s difficult to get full visibility into your total workforce. How much are you spending on them? Are they compliant with your policies? Can you easily answer all of these questions? More often than not, the answer is no. So where do you start? 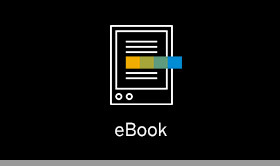 This report walks you through how the problem can be solved, how the SAP Fieldglass Vendor Management System (VMS) simplifies external workforce management, what our customers and industry analysts are saying about their experiences with our application and support, and real-life examples of how organizations across industries have made significant improvements with SAP Fieldglass. Learn how Siemens moved beyond contingent to total workforce management and SOW with SAP Fieldglass.